Wear these shoes to uni or the office or even for evenings at the pub - the Bellamont Plus by AKU! These sneakers offer good footing in bad weather even on slippery or muddy ground, thanks to the highly grippy Vibram sole. The stamped EVA midsole also provides good walking comfort, comfortably absorbing shocks with every step. This protects the joints and allows the feet to move naturally. Both soles are made of recycled material - so the environment will thank you! 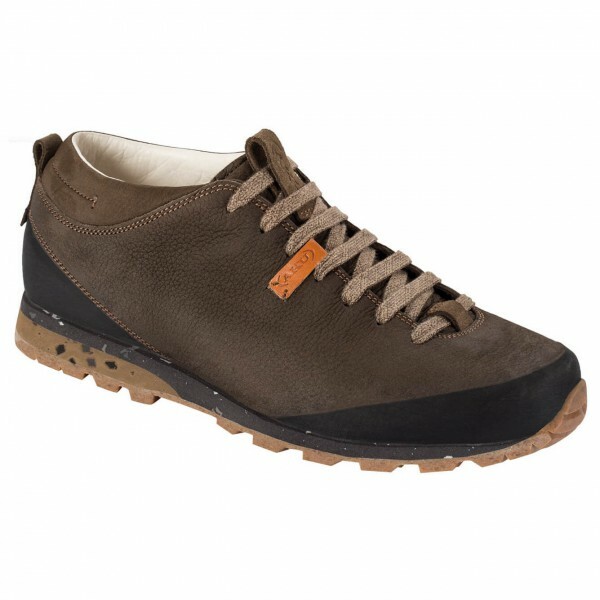 The microfiber and leather lining maintains a comfortable and dry environment for the feet. The a robust but soft Nubuck leather means that the sneakers are more than up to the demands of everyday use. A rubber surround protects the shoes from wear and damage from sharp edges, stones or roots. So you can enjoy these shoes for a years to come. The Bellamont Plus by AKU is a casual, sporty leather sneaker, which is impressive in every way!